For a modern gastro-concept restaurant, we designed a sleek and cutting-edge site inspired by Joan Miro, the namesake of the restaurant. When designing for restaurants, we put the food first to really draw people in. 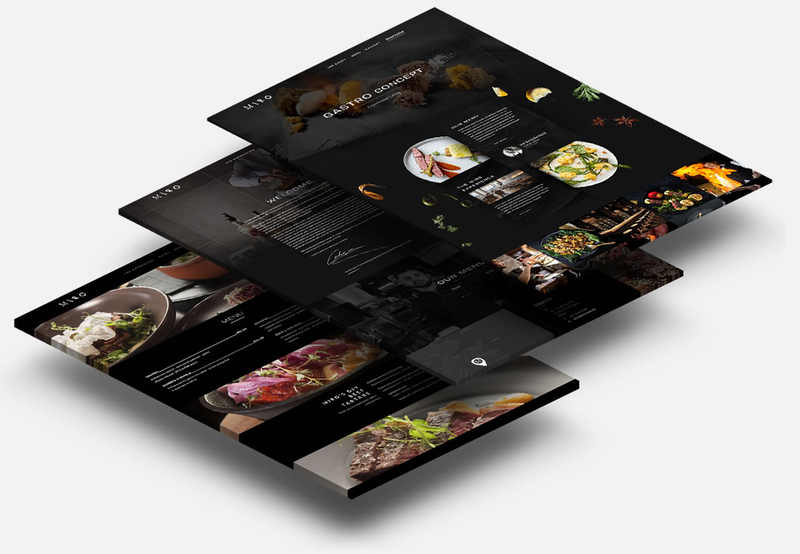 Here, we take it a step further by integrating Instagram feeds into the site design so happy restaurant customers can share their photos directly to the website. We also incorporated a reservations form linked to an in-house reservation system via API, so users can book their table without leaving the site. Finally, we ensured the site experience works perfectly on mobile so that users can get the full site experience wherever they are. Miro is an unforgettable culinary journey located in the St. Julians.